City Health Services Blog Are Your Feet Causing Back Pain? Back pain can be a debilitating condition. When you suffer with it, there is nothing you want more than to get rid of the pain. So, what role do your feet play in the cause of your back pain? It’s all about structure. Our technology has evolved faster than our bodies. People were not designed to walk on hard surfaces like tile, marble, wood, or concrete—instead, we were designed to walk on grass, dirt, sand, mud, and other natural terrain. These natural, softer terrains are more conforming to the shape and structure of the foot, thereby keeping the arch supported, and causing the muscles, ligaments and tendons of the foot and ankle to work in a supportive fashion. The three main shock absorbers of the body are the feet, knees, and lower back. It only makes sense that if the feet are flat (unsupported by the ground or shoes) they are not absorbing shock. When that happens, the knees have to work twice as hard, but that can only go on for so long. Eventually, the lower back takes the heat. It now has to make up for the extra shock, and that can wear out the parts, particularly if there is a misalignment of the lower back or pelvis. Imagine a bent axle of a car, riding off road with a tire that is underinflated, with a cracked spring for the shocks! 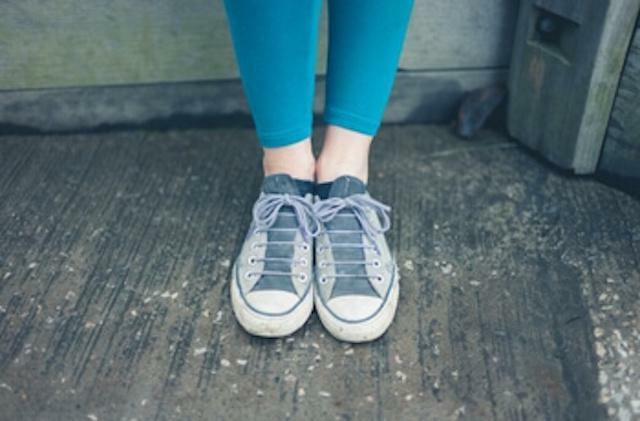 Wear good structured shoes or sneakers that support the foot and absorb shock. Wear a custom orthotic made by someone who understands the structural relationship of the foot and the body (if that is out of your budget, a generic may be sufficient, but understand that it will not be made specifically for you). Have your spine, pelvis, and lower extremities specifically adjusted at our practice. Wondering what else you can do to combat low back pain? Ask us at your next visit.